Are you thinking of taking an English exam? Perhaps you should. They’re a good way of motivating you to study. 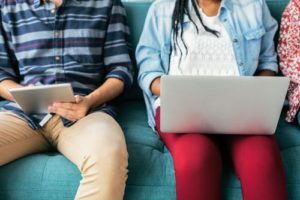 Here are our top tips on how to pass an English exam in nine months. This is the first part of a series on doing exams. Let’s imagine you’ve got nine months to prepare for your English exam. You could be an intermediate-level student who wants to do the First Certificate in English (FCE); or someone who’s already passed FCE who wants to do Cambridge Advanced. You can prepare yourself with just an hour a day over the nine-month period before the exam. Most exams test your general ability to communicate in English. So, in order to prepare you for this, you’ll need to work on the four key communication skills: reading, writing, listening and speaking. The best way to do this is to immerse yourself in the language, and to do a bit every day to increase your general level. 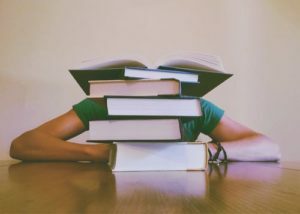 Language learning takes time, and in order for it to take place, you need to read and listen a lot in order to get enough exposure to the language. In fact, language learning takes place through input (reading + listening) and practice (speaking + writing). For many exams, you’ll need a wide range of vocabulary. So, while you’re reading and listening to English, you should start creating lists of useful words and expressions. But remember, always write these out in sentences, so you can learn chunks of language (not individual words). In order to learn these words, you could write them out on cards to study while you’re out and about (see the example in the next column). You could also record them so you can listen to them while you’re walking or driving, or create gap-fill exercises for them, translate them, draw pictures of them – anything that you feel could help you learn them. Memorising expressions will help with your writing and speaking (so you can reproduce them in written or spoken form) or listening (so you can understand them). Aim to do at least 10 minutes of vocabulary preparation every day for the 9 months before the exam. A: General listening to get an ear for the language. This consists of listening to songs, films, the radio, TV series, the news… all in English, of course. The more you listen, the better you’ll become at distinguishing sounds. And once you can do that, you’ll find that you start learning much faster. B: Focussed listening. 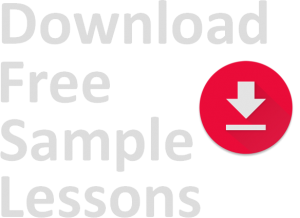 This consists of listening activities from course books, Hot English, or other sources. Read and listen at the same time so you can see and hear the relationship between the spoken and written language. Also, listen to a variety of accents (as you’ll find in Hot English), not just British or American English accents. Aim to do at least 15 minutes of listening practice every day for the 9 months before the exam. Another great way to improve your general level of English is to read. You should choose things that you’re interested in and read as much as you can. You can read articles from news sites on the internet, books, magazines, Hot English, guides on hobbies… anything. Reading is a great source of language, and while reading, you’ll see how the language fits together, and how structures and words are used. Try to read quickly and without looking up too many words. This will make it interesting for you. Above all, read something you’re interested in to keep up your motivation. Aim to do at least 15 minutes of reading every day for the 9 months before the exam. In preparation for the exam, you should aim to do lots of free writing. 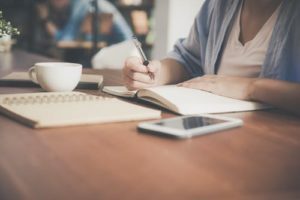 Writing is a great way of consolidating your learning – of showing you where the gaps in your learning are, or which words and expressions you need in order to express yourself freely. You can write out anecdotes or stories in English that you can use later when you’re speaking. Or, you could write a blog entry, an e-mail to a friend, a Facebook update, a text message… anything, as long as it’s in English. Aim to do about 10 minutes of writing every day for the 9 months before the exam. During the nine months before the exam, you should try to get as much speaking practice as you can. Once again, do a bit every day (rather than leaving it all for the last four weeks or so). You can practise speaking English with other English learners, your friends, your teacher, a private teacher or foreign students. You could also record yourself speaking English, and then listen back to it. This will help with your pronunciation and hopefully you’ll also hear mistakes that you can correct! 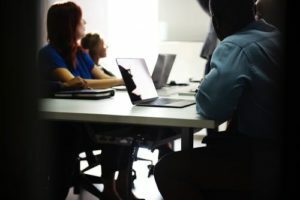 In order to help with your speaking, you can also do lots of listen-and-repeat activities with any useful expressions and chunks of language. This will help you internalise them, so they’re ready to use in conversation spontaneously. Aim to do at least 10 minutes of speaking practice every day for the 9 months before the exam. With just one hour a day for the period of nine months before the exam, you’ll increase your chances of passing by 100%… guaranteed! 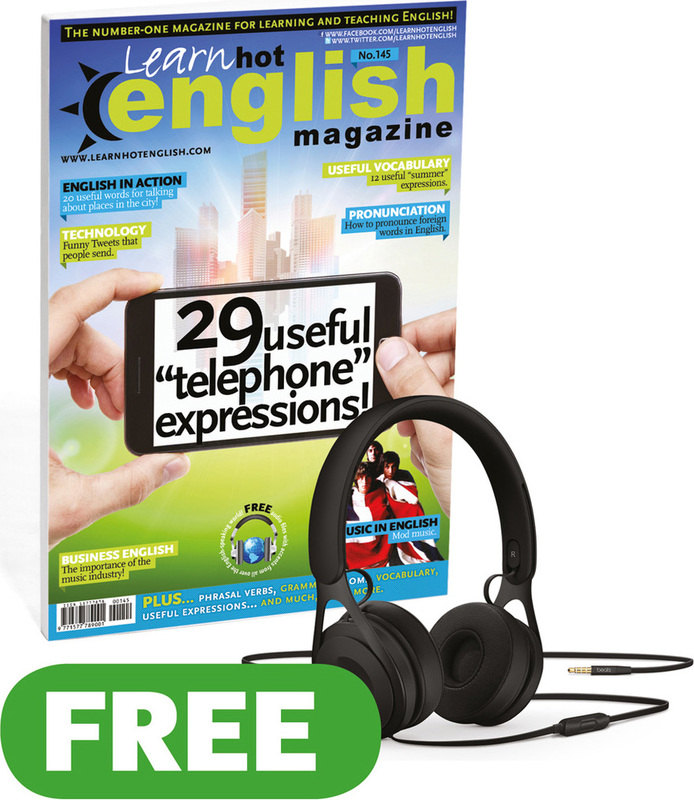 By reading and listening to Learn Hot English regularly, you’ll improve your chances of passing exams. But how? Simple! ■ Hot English will help you build up your range of vocabulary. ■ It’ll give you lots of useful reading and listening practice. ■ Hot English is broken down into levels, with carefully selected language for each level. ■ The type of language used in each level is the sort of language you’ll find in the corresponding exams. ■ Hot English is written in an informal, spoken style, giving you the type of language you need to communicate effectively in English. By reading and listening to Hot English texts, you’ll improve your chances of passing the exam by 100%… guaranteed! 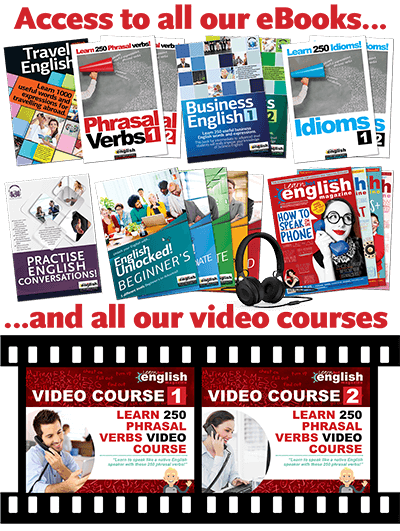 Now is the time to really improve your English! 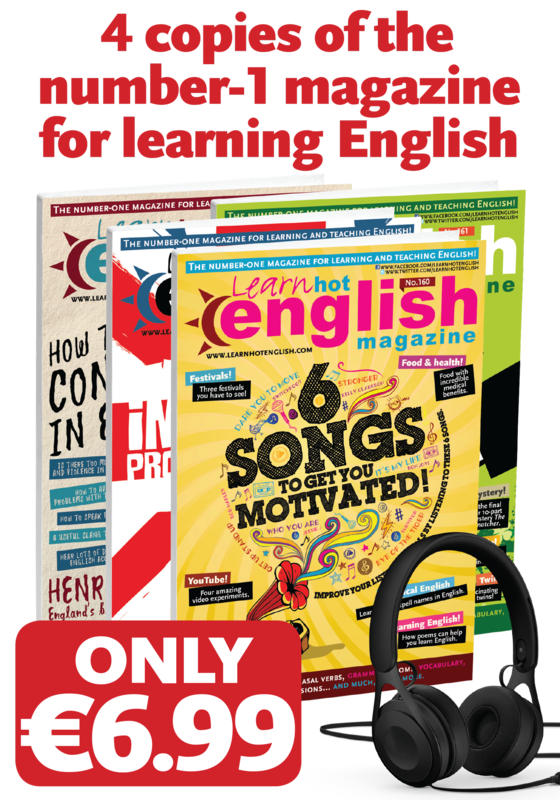 Click here to get your subscription to Learn Hot English magazine!